Dunbar Coastal Rowing Club has become the first to complete the John Muir Way by boat. Over 20 local rowers took part in the challenge which mirrored the 134 miles of the John Muir Way stretching from Helensburgh to Dunbar. The intrepid adventurers set out on the water at Helensburgh on 17 July and became the first Scottish coastal rowing team to tackle the coast-to-coast route which commemorates the journey of world-renowned conservationist, John Muir. 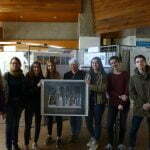 The team left Helensburgh and rowed up the Clyde shipping lane, into the Forth-Clyde Canal (40 locks, 16 bridges) past Kirkintilloch, Auchinstarry, Bonnybridge, the Falkirk Wheel, the Kelpies, into the Forth near Boness, then down the coast past South Queensferry, Post Seton, Aberlady, North Berwick and finally arrived in Dunbar. The adventurous team of 23 were aged from 14 to 76 and have clocked up many miles as a group with many having trained together for over five years. Dunbar local and Club Secretary, Kenny Maule (66) took part in the event as well as co-ordinating the challenge with his wife, Pamela (60). He explained the thinking behind the idea: “This summer the team were looking for a row that would offer interesting challenges combined with taking in some of Scotland’s beautiful scenery along the way. “Someone suggested that we row around the whole of Scotland and while this sounded like a wonderful idea, logistically it would have caused a few hiccups. 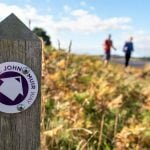 We soon realised that we already have an abundance of beautiful coastal scenery on our doorstep so the John Muir Way became the obvious choice. The John Muir Way – a flagship project of the Central Scotland Green Network – takes in castles, historic towns and villages, stunning coastal scenery as well as Scotland’s first national park, Loch Lomond and The Trossachs National Park, and has already attracted walkers, cyclists and now rowers from across the globe. 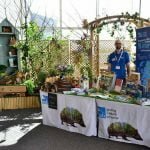 Keith Geddes, Chair of the Central Scotland Green Network Trust – which drives forward the delivery of the CSGN, said: “Three years on from the launch of the John Muir Way, I’m proud to see Dunbar Coastal Rowing Club challenging the norm and echoing the adventurous nature of John Muir himself. To enquire about joining Dunbar Coastal Rowing Club, please visit their Facebook page. 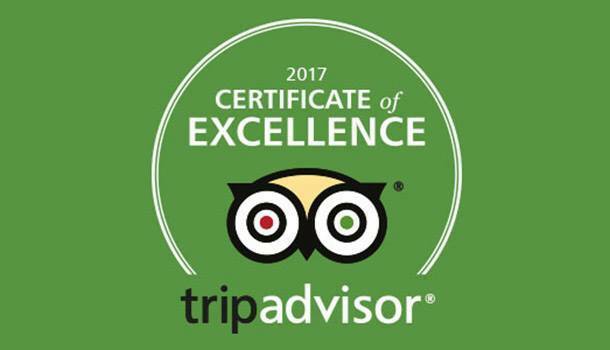 Having barely drawn breath following a very busy 3 months of school visits, we have started to take class bookings for the 2017/2018 session. 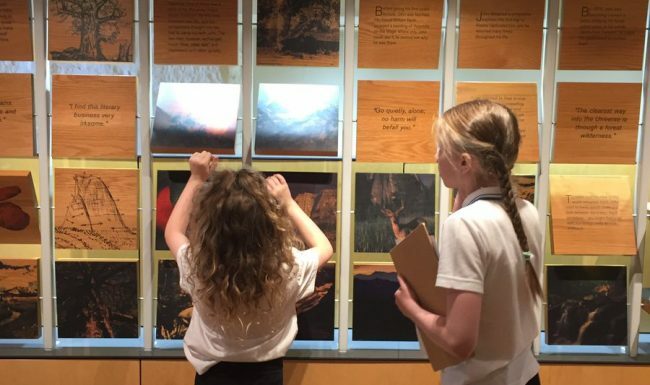 Class visits to John Muir’s Birthplace can be undertaken at any time of year and typically last around 1.5 – 2 hours, including an introduction, time to explore all 3 floors of information on John Muir and his legacy, and a feedback session at the end, where the children get the opportunity to share their learning. Groups wanting to visit during the 2017/2018 session are advised to book early to avoid disappointment, please call 01368 865899 or email museumseast@eastlothian.gov.uk for further information. John Muir is looking forward to a trip back to his Birthplace thanks to St Joseph’s School in Selkirk. The P5,6,7 class have been doing their John Muir Award. After making beards, and making a scarecrow in the form of John Muir, which they invited to a birthday party for him on 21 April, they are now planning to bring John with them on their trip to Dunbar later in June. The children have been enjoying finding out more about John’s childhood in Dunbar and are looking forward to seeing his childhood home. Wilderness by Alastair Humphreys – one of National Geographic’s Adventurers of the Year, an accomplished speaker, and a best-selling author. This short film is based on the writings of naturalist, author and environmental philosopher John Muir. It is an ode to wilderness, and was filmed in the Scottish Highlands. The Wild Along the Way (preview) by Zeki Basan. 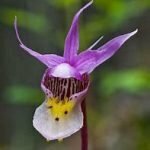 A film about the John Muir Way in Scotland. 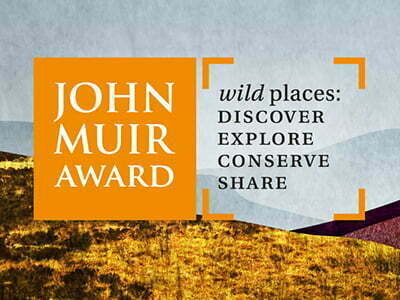 Supported by Central Scotland Green Network Trust and the Bill Wallace Grant (John Muir Trust). With special thanks to Lee Stetson. The full 22 minute film can be seen on Vimeo. The project has been the result of a successful partnership between the John Muir Birthplace Charitable Trust and Sheena Irving AV, and replaces a DVD showing the John Muir’s Yosemite film on a loop which broke down at the end of last year. We are delighted with the new display which puts visitors in charge of a choice of films. 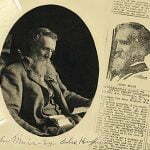 We would love to hear your suggestion for future John Muir related films. John Muir’s Birthplace is open daily. Admission is free, but visitor donations have helped fund this project.